F.J. Bergmann writes poetry and speculative fiction with work appearing in Black Treacle, Dreams and Nightmares, On Spec, The Pedestal, Pulp Literature, and, as F.J. says, ‘a bunch of regular literary magazines that should have known better.’ In addition to being the Poetry editor at Dark Renaissance Books (darkrenaissance.com), F.J. is the Editor of Star*Line, the journal of the Science Fiction Poetry Association (sfpoetry.com), and poetry editor of Mobius: The Journal of Social Change (mobiusmagazine.com). Awards include the 2012 Rannu Prize for speculative poetry and the 2013 SFPA Elgin Chapbook Award for Out of the Black Forest (Centennial Press, 2012). I’m very grateful to F.J. for taking the time to talk about horror poetry from the perspective of both a poet and an Editor. HWA: Where do you see the state of poetry in the horror genre today? Where do you see it going in the future? FJB: I think horror poetry may be in a healthier state in some respects than other flavors of speculative poetry, given that it is officially recognized by HWA as well as included under the aegis of SFPA. It’s quite clear that readers are never going to get tired of horror! Or dark-infused fantasy and SF, for that matter. HWA: As an Editor, what are you looking for? FJB: In general, my tastes are fairly eclectic. I’m open to experimental, unusual work. I like a fine balance between over-explication and opacity, between subtlety and the trite or inaccessible. My favorite poems are those where the reader has to do a little work to connect the dots. I’m a fan of Billy Collins’ dictum “End in mystery.” I’m not at all opposed to poems in form, with the exception of those relying solely on syllable count, but tend to prefer strict meter where rhyming poems are concerned. I have a weakness for prose poetry and funny poems. HWA: As a poet, do you feel like sharing a poem or two? were grayer, smaller, less worried. still warm and wet, and some of it had clung. he stared at his reflection for a long time. Perhaps he had once been tame, a prince’s pet. his neck raw, he was never able to claw it off. to the wind and fall asleep in scented shadows. in a face he almost remembered. The poem was originally titled “Was,” a pun on “were-,” but this title is more appropriate (a ‘palimpsest’ is a manuscript written on parchment where traces of a previous, incompletely erased document—in some cases, a much more valuable document—still show) in the sense of a life overwritten by an unwilling transformation, with vestiges of the former life faintly showing beneath. of each others’ garments: that would have been unwise. This poem describes post-apocalyptic beings in the ruins of Madison, Wisconsin (where I lived at the time it was written), furnished with many details of the actual city. HWA: How vital do you find organizations like SFPA and HWA to horror poetry? 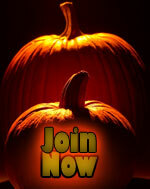 What would you tell non-members to entice them to join? FJB: While SFPA also includes fantasy and science-fiction poetry, both organizations work for poets by providing umbrella organizations that offer social links, newsletters and other publications, and respected awards determined by member nomination and vote. In each case (for speculative poetry, and for horror poetry specifically), they are the only game in town as far as offering a collective position for poets writing in those genres. In the case of SFPA, what it can do for members is directly determined by the number of members who pay dues. I know that there are many speculative poets who have not joined SFPA; with increased memberships, SFPA could afford to achieve non-profit status, and to increase contributor payments for Star*Line. Other goals are to offer a conference and workshops specifically for poetry. Most organization policy is determined by those willing to volunteer—or even just to speak out within the organization. Anyone can direct its focus by stepping up to the plate as a volunteer.